The place that Donald Trump called home during his earliest years hits the auction block on Wednesday. It's a bit more modest than the penthouses and lavish estates the Republican presidential candidate has called home since: there's no gold décor, no marble floors and no grand staircase. It's about an hour subway-ride from Fifth Avenue. 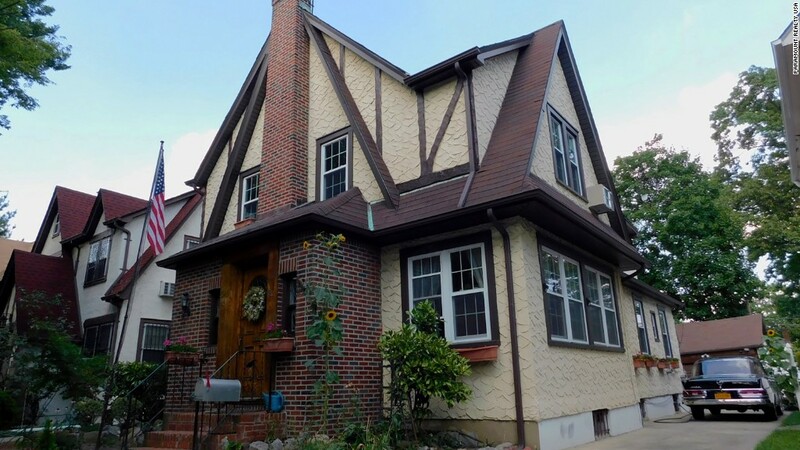 The 2,500-square foot brick and stucco Tudor home is located in Queens in New York City, and is the first home Trump lived in. It has five bedrooms and four and a half bathrooms. The suggested opening bid is $849,000, which would be a relative bargain for a house in this location. Earlier this summer, the Jamaica Estate property was on the market for as much as $1.65 million. 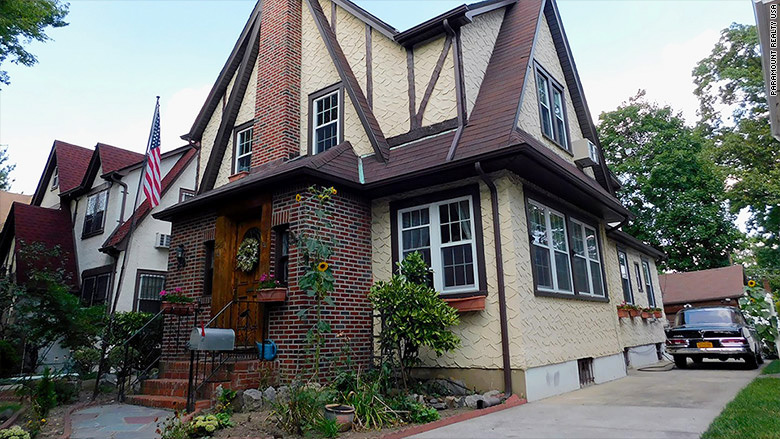 The property is located in Jamaica Estates, an upscale neighborhood in Queens. A reserve price has been set, but not disclosed, which means the current owners have the right to reject the winning bid if it doesn't exceed that price. 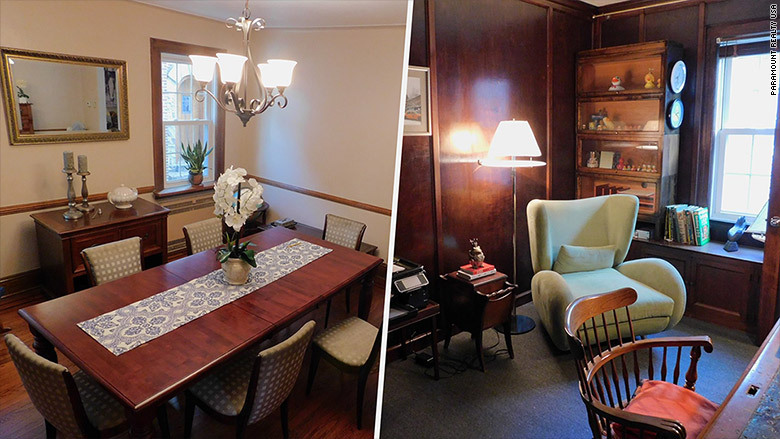 The home was built in 1940 and needs some updates, but has a formal dining room, finished basement and two-car garage. Trump recently talked about the house on The Tonight Show Starring Jimmy Fallon. 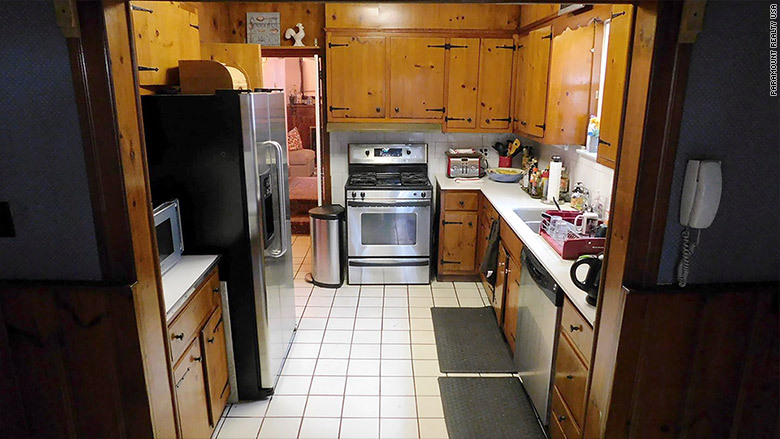 The home has an eat-in kitchen and a summer kitchen. "That is where I was born," the real estate mogul said when Fallon showed him an image. "I had a really good childhood; oh that's sad to look at that, I want to buy it." The auction will take place a 6:00pm ET at the Roosevelt Hotel in Manhattan on Wednesday. Potential buyers need to purchase the property's due diligence information-- which includes information like the title report and sale agreement as well as a copy of Trump's birth certificate that lists the home's address -- before the auction. "We believe he lived there from birth until four," said Haghani. "Then his father moved the family literally around the corner, [the new home] backs up to this house." Bidders will also need to bring a $90,000 bank check to put down as a deposit if they win. Donald's father, Fred Trump, who was also in the real estate business, built many of the homes in the neighborhood, including his own, according to Haghani. The home will be auctioned off on Wednesday. Haghani added that Fred is rumored to have put his name under the saddle in the front doorways of some of the homes he built. But potential buyers shouldn't go looking for the Trump name at this home. Haghani said part of the front of the house was redone after a tree fell down. While there's been strong interest about the property, that doesn't necessarily translate into a sale. "Whether someone buys just because he lived here, I'm not so sure about that," said Haghani.